Local and foreign businesspersons attending the Rakhine State Investment Fair on Ngapali Beach, Thandwe Township in Rakhine State, conducted study tours to new beach sites developed at Thandwe Township, Ngapali Beach and Gwa Township as well as aquatic works and cold storages. During the study tour a prawn cold storage and a fishing village in Thandwe Township; a prawn hatchery in Gwa Township; new beach sites developed in Maung Shwelay, Mawyone and Kanthaya and hotel zone projects were visited. According to Rakhine State Investment and Company Administration at the present Singapore, South Korea, China and India were doing the most investment in Rakhine State and the majority was in the energy sector. Rakhine State Investment Fair was conducted with an aims to create investment opportunities and connect local businesses with local and foreign investor for economic development of Rakhine State and was conducted with the support of Myanmar Investment Commission, Japan International Cooperation Agency (JICA), Japan External Trade Organization (JETRO), Myanmar Survey Research Co., Ltd. (MSR) and private sector companies led by Rakhine State Government. Thailand’s Osotspa Public Company Limited, the maker of M-150 energy drink, and Loi Hein Co., Ltd., Myanmar’s largest drinking water and beverage business, held a groundbreaking ceremony for the construction of a new beverage production facility located in the Thilawa Special Economic Zone (Zone B) in Yangon at the end of November 2018. This is Osotspa’s first production facility in Myanmar. The new beverage production facility is located on 83 rai (approximately 132,800 square meters) in the Thilawa Special Economic Zone (Zone B). It will be operated by Osotspa Myanmar Co., Ltd., a joint venture in which Osotspa PCL holds an 85% share and Loi Hein Co., Ltd. holds a 15% share. The project represents a total investment of 2,400 million baht funded by the proceeds received from Osotspa’s initial public offering (IPO) which took place in October. Construction of the new plant is expected to be completed and ready for operations in the fourth quarter of 2019, producing Osotspa drinks for distribution in Myanmar. The signing of an agreement to manufacture electric buses and erect charging stations held at the Research and Development Bureau in Yedhashe, Myanmar. Union Minister for Industry U Khin Maung Cho said that Myanmar will manufacture electric buses and charging stations, in cooperation with Green Power Myanmar Co Ltd, by adapting the technology of Csepel Holding Limited of Hungary. 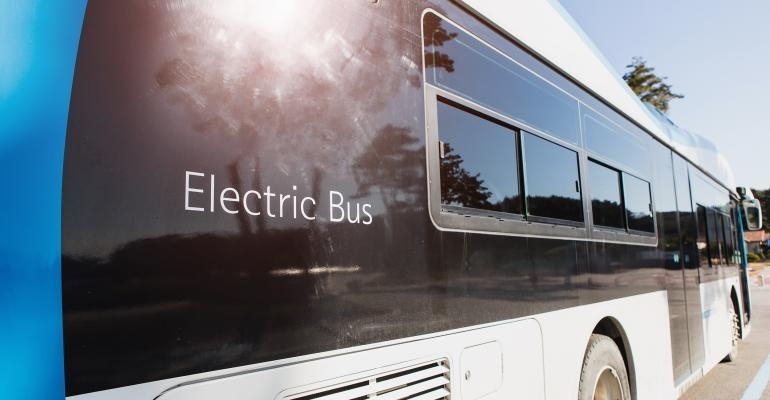 The ultimate aim is to turn Myanmar into an electric bus and parts exporter, as well as the Southeast Asian hub for electric vehicles. The Hungarian cooperation will provide Myanmar with new manufacturing, repair and maintenance technologies. 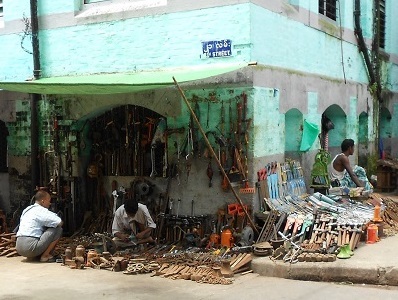 Moreover, the country can earn income from exports and generate job opportunities. Farmers can buy India-made tractor, Mahindra, with fifty percent-off loan according to the company’s new product launching show. Mahindra Tractors, Rice Planters and other agricultural equipments were imported and distributed by Bandoola Enterprises Limited of Myanmar. The company is also selling new product of India-made Tractor named Four-Wheel Tractor at the current and that new product launching show was held at Mandalay. Mahindra Tractor and Agricultural Equipments Company was regarded as most tractor selling company on 2010 and it was distributed in Myanmar since 2012. 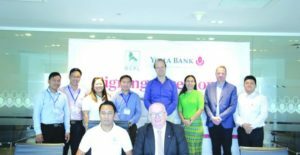 YOMA Bank, one of Myanmar’s largest commercial banks, signed a loan agreement with authorized dealers of Myanmar CP Livestock (MCPL), a leading agro-industry and food business in Myanmar, on Friday, according to a press release issued by the bank. The joint agribusiness finance programme aims to facilitate livestock dealers and farmers with working capital to buy animal feed from the Myanmar CP Livestock, which is currently operating four feed mills in Yangon, Taunggyi and Mandalay, with a total capacity of around 750,000 tons per year. This is Yoma Bank’s new innovative financing for the development of local small- and medium-enterprises. With this program, individual farmers and dealers will have access to a formal financial system to grow their livestock businesses. 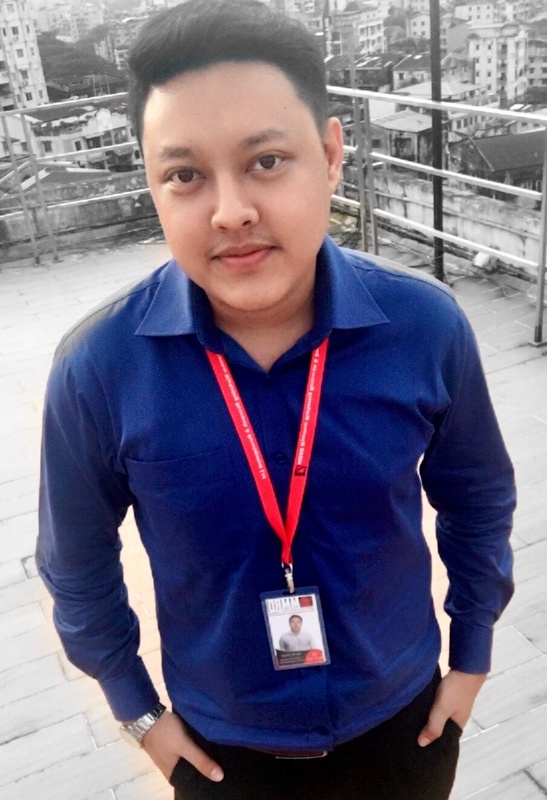 Under the new loan system, applicants are not required to put up any physical collateral, typically requested by banks in Myanmar, but rather earn unsecured bank credit, based on their positive track record. The agribusiness finance program ensures to develop the country’s poultry sector by providing this need-based financing program for local farmers and other stakeholders, who might currently be excluded from the formal financial system. 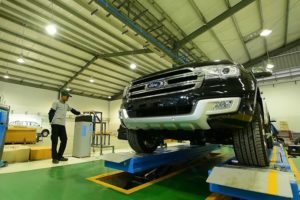 Myanmar Investment Commission (MIC) allowed 16 companies to assemble automobiles, so there were nine foreign investments and seven Myanmar citizen investments in the automobile sector. As the foreign investments, Suzuki (Myanmar) Motor Co.,Ltd and Khaing Khaing Sang Da Group Co.,Ltd get permission to manufacture Suzuki branded cars, Tan Chong Motor Myanmar Co.,Ltd was permitted to manufacture Nissan cars, SC Auto (Myanmar) Company Limited was allowed to manufacture Scania commercial vehicles, Capital Motors Limited , Gold AYA Motors International Group Co.,Ltd , and Go Excellent (Myanmar) Co., Ltd were allowed to assemble Ford branded cars, and Daewoo Bus Myanmar Co.,Ltd was permitted to manufacture Daweoo commercial vehicles. 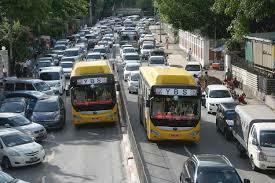 As for the Myanmar citizen investments, Rammer Automobile Manufacturing & Trading Co.,Ltd was permitted to manufacture Micro Bus vehicles, and Dynamic Industry Co.,Ltd , Myanmar Economic Holdings Ltd , Myanmar Motor Corporation , Public Company Limited ,Aung Gabar Motor Services Company Limited get permission for manufacturing KIA branded cars, according to MIC. Myanmar Investment Commission (MIC) has allowed Korea-based Daewoo Company manufacturing, assembling and maintenance services for passenger buses in Mingladon Township, Yangon Region, under a Joint Venture Investment. The information came from the MIC’s meeting held in Yangon on August 25th. The meeting aimed to securitize the suggestion that was submitted in accordance with the MIC laws and it approved three orders of investments. The Daewoo Bus Myanmar Company Limited Korea was given green light to manufacture Daewoo buses in Mingladon Township, Yangon Region, Yangon Golden Paragon Investment Co;LTD was allowed for Construction, Operation and Leasing of Residence and Commercial Area in Tharkayta Township, Yangon and Science and Tech International Myanmar University Co;LTD was also allowed to provide education services in the Mandalay Region. Those businesses must and are operating under the Joint-venture foreign investment laws. 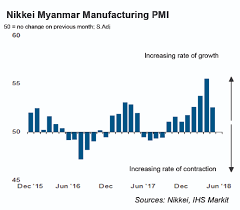 Operating conditions across Myanmar’s manufacturing sector deteriorated to the greatest extent in the series history in August. The overall performance was hampered by strong falls in output and new orders. “Despite weak demand conditions, firms raised their output prices steeply. A sharp fall in the value of the kyat over the last couple of months has pushed up the costs of imported goods, reflected in a marked rise in input prices. Higher charges reportedly stemmed from strain on profit margins following the fastest rise in costs since the survey began in December 2015. On a more positive note, goods producers were more buoyant in their optimism towards future output. Subsequently, business confidence reached a nine-month high following muted sentiment in recent months. 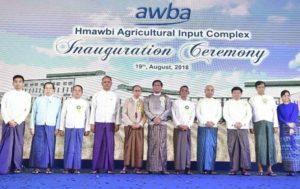 Myanmar Awba Group, Myanmar’s largest manufacturer and distributor of agricultural technology, launched Myanmar’s first private agrochemical production complex in Yangon Region on August 19. 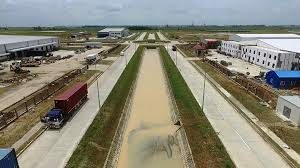 The US$35 million Hmawbi Agricultural Input Complex (HAIC) is located near Wa Nat Cyaung Village in Hmawbi Township, occupying 126 acres of land. Myanma Awba is providing up to $25 million to finance the HAIC, while the remaining funds have been provided by the International Finance Corporation (IFC). HAIC will manufacture more than 200 proprietary agrochemical blends which it will distribute at an affordable price to local farmers. This will reduce the cost of production per acre for each farmer. Based on his estimates, a local production plant can help to reduce farmers’ costs up to 20 percent and raise competitiveness. By 2021, HAIC expects to supply around half of Myanmar’s agrochemical demands. HAIC is aiming to manufacture 3.3 million-10.3 million liters of insecticides, fungicides and herbicides in concentrate form within the next four years. It will also manufacture 1.7 million-5 million kilograms in powder form. Myanma Awba is planning to utilise solar power and greenhouse technology to manage its own production costs and power consumption needs. The company was established in 1995 and now serves 3.5 million farming families. It also provides microfinance, digitization and logistics services. The very first Thailand-owned plastics industry which worth USD 12 million was opened in Thilawa SEZ on 20th August with the aim to develop plastics manufacturing industry in Myanmar. The company is joint venture between S.P Petpack Inter Group Myanmar and PTT Global Chemical Public Company. The industry will manufacture quality plastic products which meet international standard by using high-end technology.